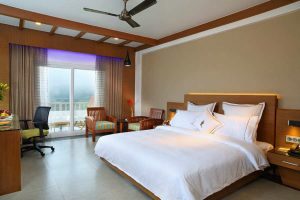 Use the form below to inquire about Hill View Resort In Munnar . 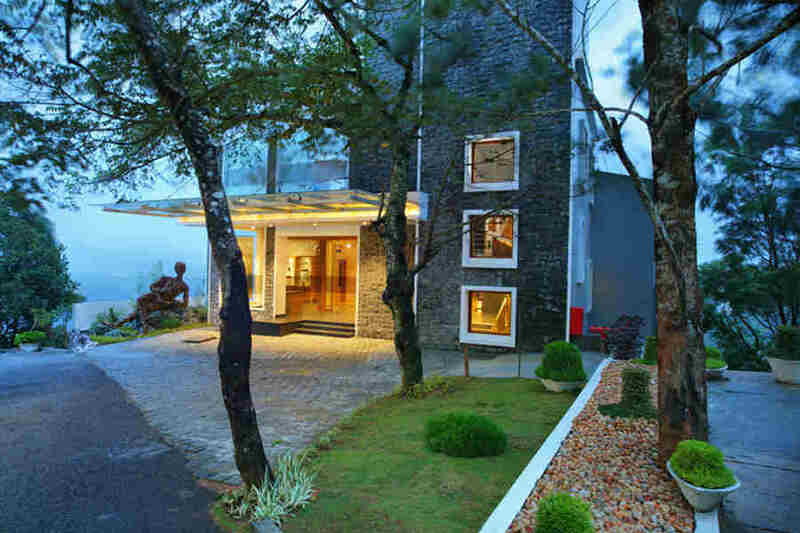 Use the form below to reserve for Hill View Resort In Munnar . 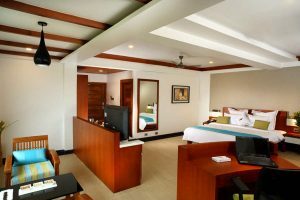 These rooms are larger than the deluxe rooms and have bay windows, attached balconies, double beds and ensuite bathrooms. This has a separate living area, bedroom with a double bed and an extensively equipped working space. The sprawling greenery that spreads as far as you can see will make your holiday at the Hill View Resort In Munnar blissful. Munnar welcomes you to a thousand shades of green on well-manicured tea plantations that spread out in every direction. Mist engulfs most of the high hills and leaves you in a dreamy state of mind. Located in the Western Ghats of Idukki district, Munnar is one of the most visited hill stations in Southern India, especially since it’s only a road trip away from most cities in the south. The hazy mountaintops, the pleasant weather all year round, the tranquil environment, and an abundance of natural beauty make Munnar an ideal getaway for the joy of travel or just to break the monotony of your daily routine. 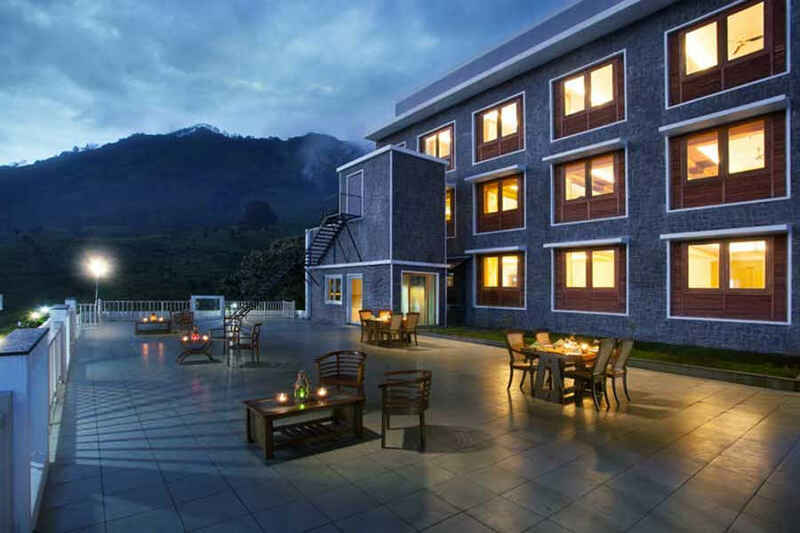 As the road snakes through the verdant rolling hills, it takes you to the Hill View Resort In Munnar, overlooking the wonderful scenery all around. 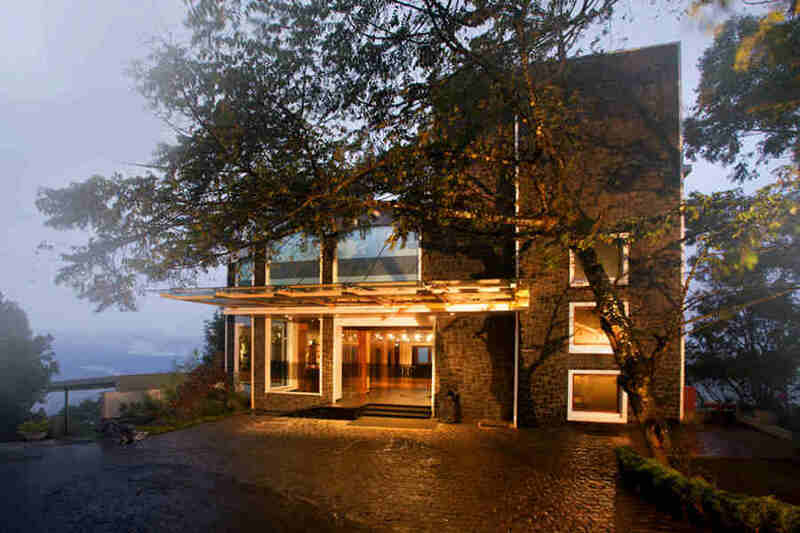 The Hill View Resort In Munnar blends seamlessly with the hill that it’s located on. Nestled amid silver oak trees, its architecture features a series of rectangular blocks that are tucked perfectly to the hill. While its façade is made up of white walls and grey stones along the slope of the hill, its interiors exude a muted elegance that spells comfort. Soft lighting filters in from the roof of the resort’s lobby. 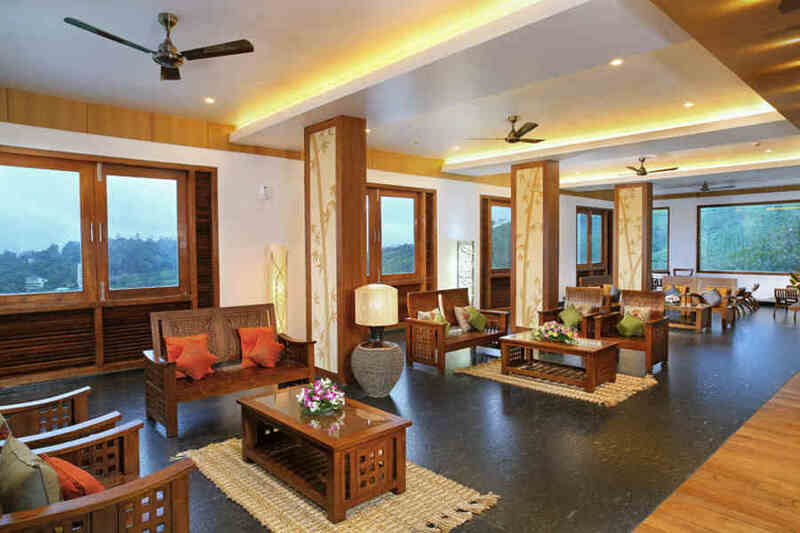 The resort’s architecture makes elegant use of wood veneer panels on its walls, graphic motifs on the floor and complementing glass and chrome fittings. Every block in the resort is named after some or the other elements of nature, such as Deep Forest, Bodhi Tree, and Traditional Village. 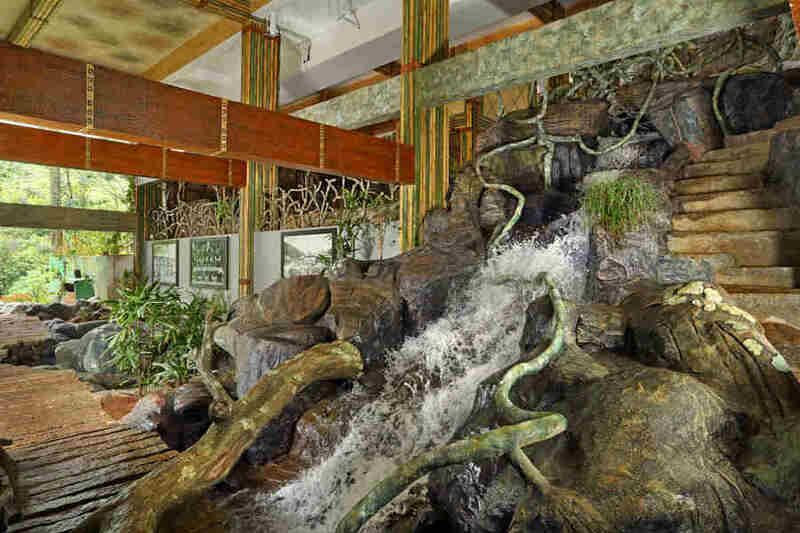 There’s an enormous faux tree with knotted roots and an artificial waterfall flowing through the roots. This forms the essence of the ambiance in the resort’s common area. 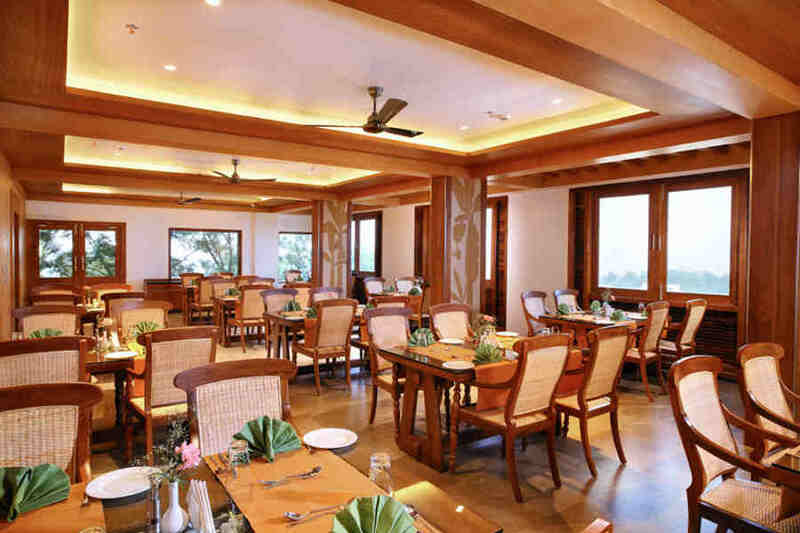 The property has a multi-cuisine restaurant that serves Kerala specialties and dishes from across India. 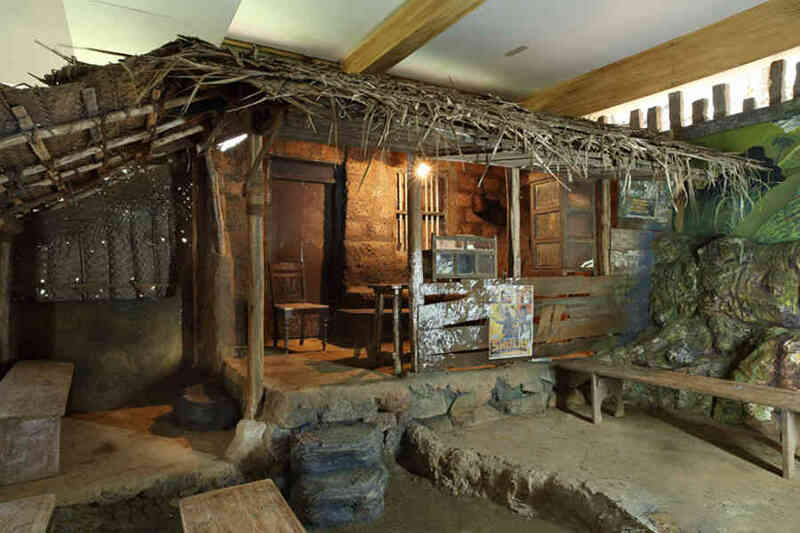 It also has a coffee shop designed to resemble typical rustic tea shops common in Kerala. The resort’s spa offers a wide variety of therapies and treatments to soothe your body and soul. Accommodation at the Hill View Resort In Munnar is the epitome of fine living and luxury. There are 48 rooms under four categories: 38 Deluxe Rooms, five Super Deluxe Rooms, four Junior Suites, and one Presidential Suite. Every room has a balcony, floor to ceiling windows, and luxurious furnishings and upholstery. Every room is furnished for maximum comfort and includes plush beds, thick quilts, soft, fluffy pillows, and every other facility and state-of-the-art amenity you’ll need for a comfortable stay. The interiors of all the rooms and suites are gorgeously decorated. Whichever room you choose, stunning views of the beautiful surroundings are guaranteed. Late check-out and early check-in are subject to availability. Checkouts from 11.00 Hrs to 18.00 Hrs are subject to 50% of room rate and thereafter at 100%. All arrivals prior to 6 a.m. are billed from the previous night. 100% retention charges against the entire reserved stay for cancellation after the same. Munnar is a haven for wildlife, bird watching, and adventure enthusiasts. During your stay at the resort, you can go birdwatching. A guided tour of the plantation with a naturalist can be arranged for you on request. You can take a leisurely stroll in the rugged grasslands or choose any of the many trekking trails in the forests to witness the stunning flora and fauna of the region. Mountain biking is another option for adventure lovers visiting Munnar. If you would rather explore the wilderness of the region in a jeep, a jeep safari can be arranged for you. Munnar has many sightseeing places such as Mattupety Dam, Pothamedu for breathtaking views, Devikulam, Sita Devi Lake, Attukad Waterfalls, Lockheart Gap View Point, Tea Museum, Blossom Park, Chithirapuram, Rajamala, Eravikulam National Park, and Echo Point. Once you are done sightseeing and trekking, go for a rejuvenating massage at the spa, play indoor games, break a sweat at the fitness club or lounge back by the poolside – the choice is yours. 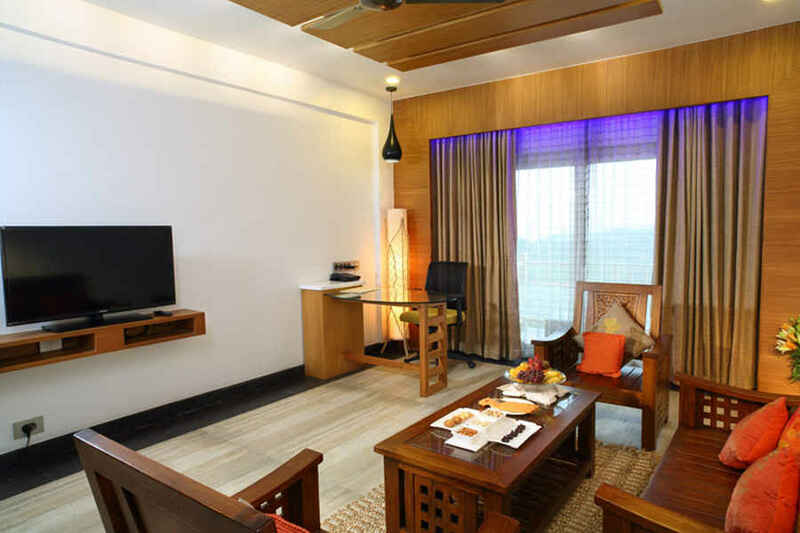 The closest airport from the property is in Cochin (100 km). The international airports in Madurai and Trivandrum are located about 170 km and 270 km, respectively. The Kempegowda International Airport in Bangalore is located 519 km away from the resort. 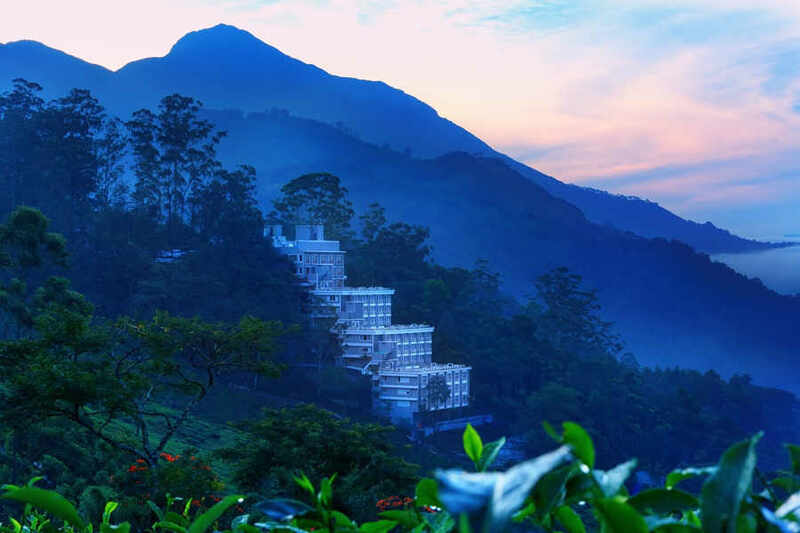 Ernakulam (117 km) and Kottayam (130 km) are the closest stations from the resort in Munnar. The city railway station in Bangalore is located 490 km away from the resort. 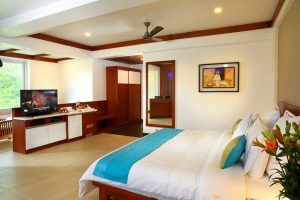 The resort in Munnar is easily accessible by road and is a drive away from Madurai (161 km), Trivandrum (270 km), Mysore (337 km), Bangalore (486 km), Mangalore (496 km) and Chennai (591 km). Some of the nearby tourist destinations include Kumily (87 km), Thekkady (88 km), Vagamon (93 km), and Kumarakom (140 km).